It’s always exciting when I come home from a long day at work (usually to a screaming toddler and baby) and find a little blue package on my doorstep. My Ecocentric Mom box is always filled up with natural products and goodies and it’s so nice to receive a package that isn’t soley full of baby items. This month’s Ecocentric Mom Review is the Midwinter Getaway Collection, packed full of items sure to get you in the mood for a February vacation (to somewhere warm and sunny for sure). I had such a hard time choosing this month! 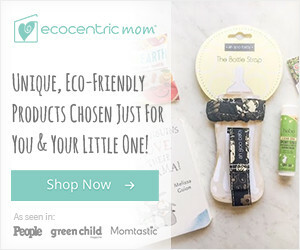 Ecocentric Mom allows you to choose 1-2 of the items in your box (while the rest is a suprise). This month I had a hard time choosing, since everything looked so amazing! This month they added in these cute little cards with more product information. 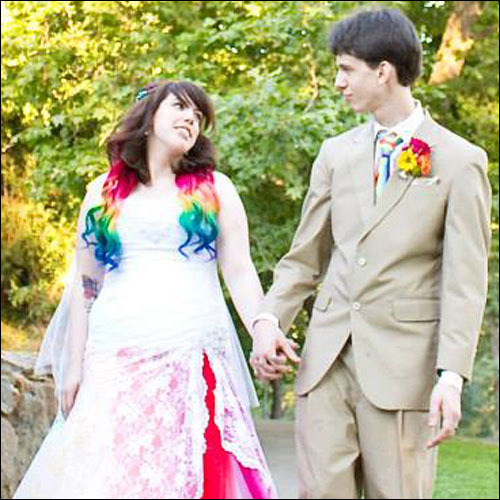 It was a really cute touch. Both my kids’ faces lit up when they saw this little ball in the box. Difficult to get a good picture of it since they were so busy trying to hold and bounce it. It’s made from natural foamed rubber and flocked nylon, which is such a nice change since most balls seem to be made of plastic. It has a really fun texture and is the perfect size for little hands (and I’ll admit… it’s the perfect palm size for adult hands too). This 2 in 1 facial mist is a blend of botanical herbs, rosewater and witch hazel that leaves skin soft and moisturized. The scent is very light, but amazing, and I noticed a difference in the softness of my skin almost immediately, which surprised me. The spray does sometimes spray on white, but I’ve found my skin quickly absorbs it upon massaging it in. Vegan. Perfect for backpacks and lunch boxes, this little tag will help distinguish your little ones bag. The little aiplane is made in vibrant colors to be recognized easily among the others. My toddler loves the airplane shape and we’ve already added it to his backpack. My 10 month old kept crawling away with this while I was trying to take pictures, and once my toddler realized it was food, he kept running away with it. I did manage to sneak in a single bite (for science!) before the kids ran off with the pieces. It was quite yummy with a consistency similiar to fruit leather. Made with fruit and juice purees, these little bars are vegan, gluten free, and organic! We’ll be picking up some more when we make it to the store. I haven’t had a spray perfume in a long time, so this was a welcome surprise. Made with rose essential oil and rosewood essential oil, it has a floral, feminine scent. It seems to spray on more like a body mist than a perfume, which is nice as I’ve always found perfumes to be a bit heavy, but this is perfect. Vegan and Gluten Free. This was Ethan’s favorite toothpaste when he was a baby, so it was exciting to see it in the box now that we’ve started brushing Audrey’s teeth. It’s 100% safe to swallow so perfect for both babies and toddlers. I find the taste on this to be a little tart, but my 10 month old doesn’t seem to mind. Vegan & Flouride Free. A blend of honey, solar evaporated quartz charged sea salt, epsom salts, and essential oils, this is the perfect companion to any bath. The lavender and geranium oils featured in Twilight compliment each other perfectly. It’s a wonderful way to wind down any night. Gluten Free & Vegetarian. This month’s Ecocentric Mom box was a wonderful variety of products. Our box was a nice blend of products for both myself and my toddler (we get the toddler box) and even baby.